According to Singapore’s National Environment Agency, dengue fever and its more severe form, dengue hemorrhagic fever, are the most common mosquito-borne viral diseases in the world. This disease poses a serious health threat, and is a leading cause of illness and death in tropical and subtropical climates. There are four known serotypes of the dengue virus but no vaccine or medicine has been developed to treat the illness. The incubation period before symptoms develop generally ranges from 4 to 10 days after infection. Therefore, early diagnosis would enable the patient to receive prompt medical attention and avoid further complications. 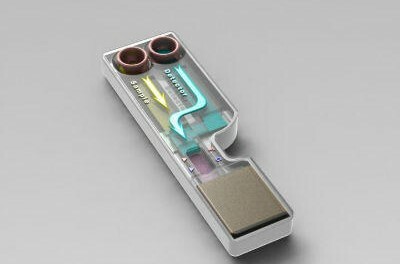 IBN’s diagnostic kit can also be adapted to detect other infectious diseases such as HIV and Syphilis. The IBN researchers are also investigating the use of other common fluid samples, such as blood, urine and serum for rapid, high-sensitivity test kits.